I don’t really like spiders, specially when I find one at home. I always scream scared when occasionally seeing one, even if it’s tinny like a lentil, lol. 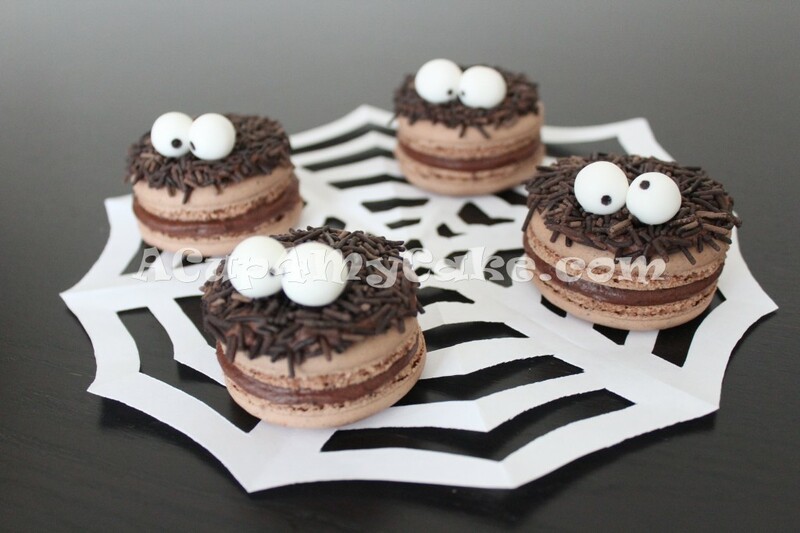 But this year I’ve decided to overcome my fears, so I bring you this funny idea for Halloween: spider macarons! 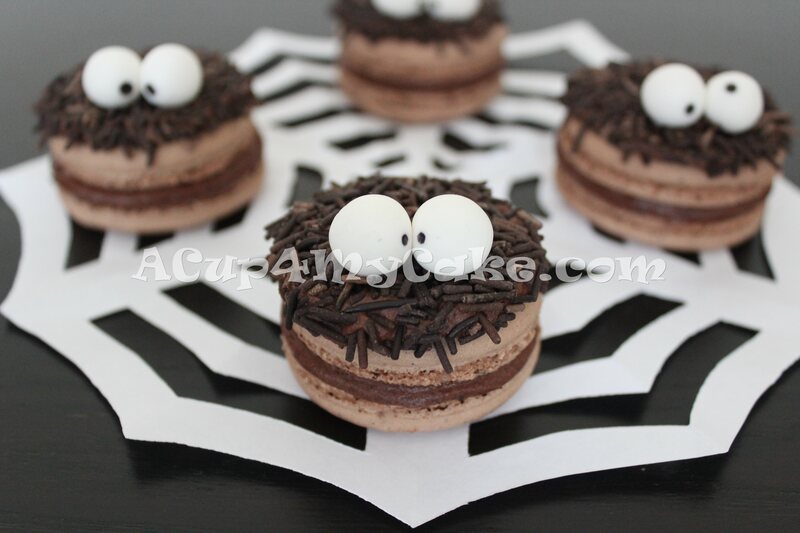 First of all, I prepared chocolate macarons. I stuck to this recipe, but I introduced a tiny change in order to make them chocolate flavoured: I added 2 tbsp of cocoa powder to the initial icing sugar and ground almond mixture. Once baked and cooled, I filled them with dark chocolate buttercream. 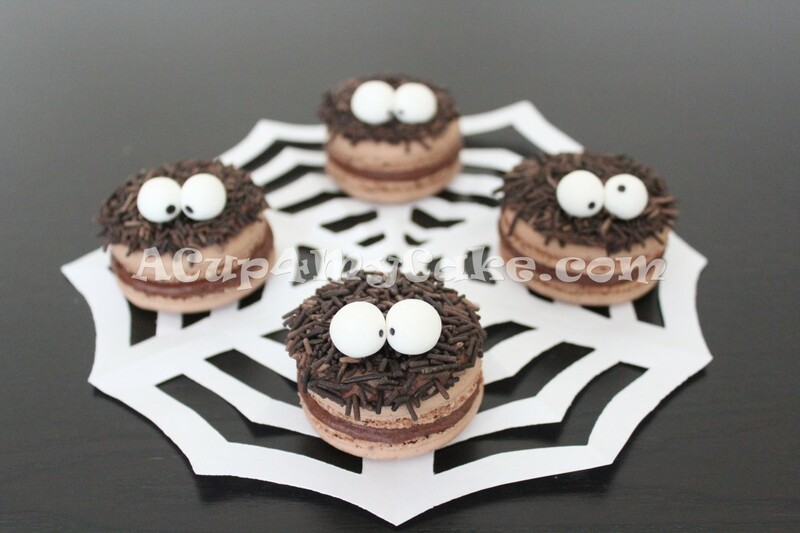 I also applied a thin layer of buttercream on top of the macarons in order to attach the chocolate vermicelli (also known as chocolate strands), which works as the spiders’ hair (and it looks like, isn’t it?). 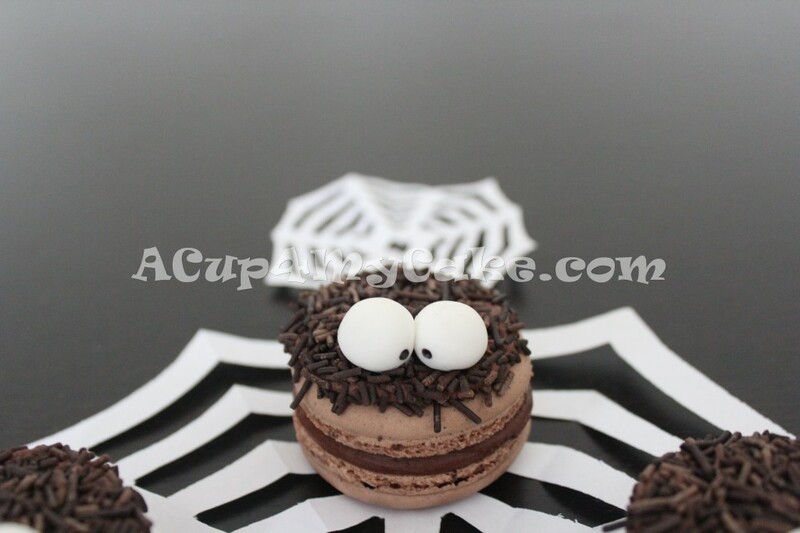 Finally I attached a couple of sugarpaste eyes to each spider by means of edible glue. I didn’t add too many details because I wanted them easy, simple and quick to make. The white spider web was made with paper, after folding and cutting it successively (origami). It’s really simple to make by oneself (I promise!). I’ll show you how to make one in a next step-by-step tutorial. I know there’s almost a month left for Halloween, but it’s good to get inspired in advance to have plenty of time to organize (design, ingredients, material…). Trust me! 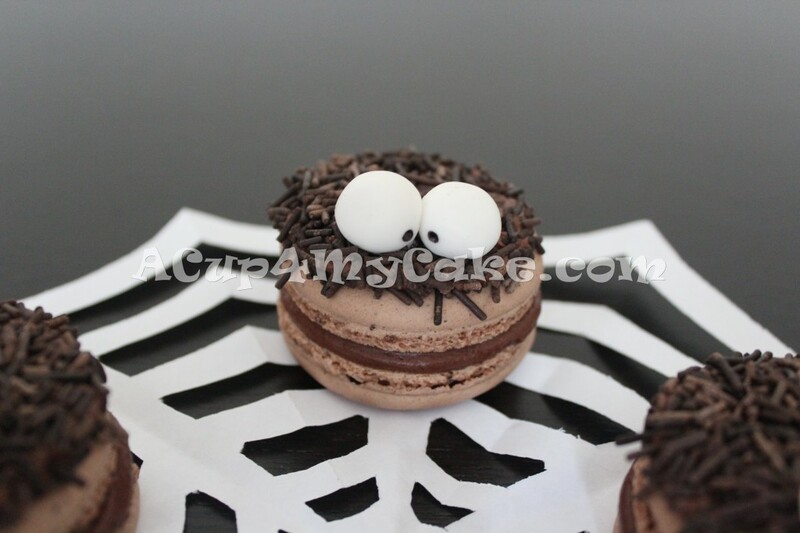 This entry was posted in Animals, Chocolate, Funny, Gluten-Free, Halloween, Macarons. They’re soooo cute!! And delicious too!! Yet again a simply beautiful macaron recipe. And although Perhaps meant to be scary, I find your spiders rather cute. They meant to be funny, tasty and inspirational! Gracias por tu comentario. Glad to hear from you in my blog again.